Mitte's restaurant scene is very popular. I personally have seen a lot of restaurants come and go in Mitte, but the best places always remain. Luckily for you, I almost completed an easy-to-use BertaBerlin map for Mitte. 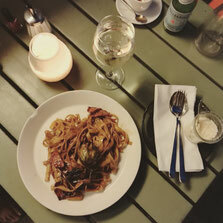 It took time, but here you have my Top 5 restaurants of Mitte. If you want to know more, you can preorder the map already in my shop. 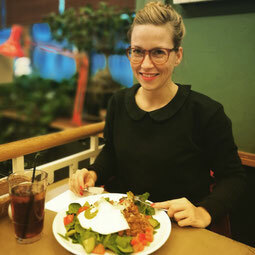 After a visit at Naturkundemuseum, you could have a fine lunch at House of Small Wonder. In a Brooklyn like atmosphere of the hidden rooftop studio you can enjoy a mixture of American-Japanese Tapas. My favorite is Okinawan Taco Rice. This restaurant serve a choice of two delicious, weekly changing 4-course-meals at 24 Euro every evening of the week but for Mondays. Optionally the main dish may be exchanged by a vegetarian flavor or Coque au Vin. 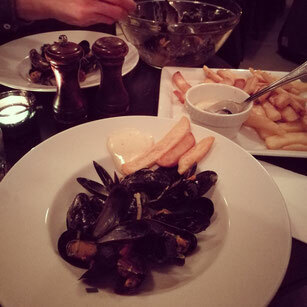 You should also watch out for their legendary mussel special of the month – all you can eat mussels. Through big picture windows you can already see the basic furnishings and old maps on the walls of Altes Europa. This low key restaurant is a welcome retreat in a very touristy neighborhood like Mitte. Their kitchen serves up a tasty daily menu of traditional middle European dishes. If the weather's nice, you can grab a table across the road and sit outside. This is a little deli, where you can find fresh and delicious comfort food. I personally chose the giant plate filled with falafel, grilled vegetables, salads and fresh yoghurt sauce. 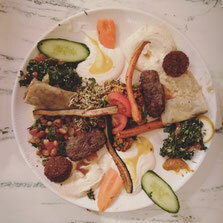 As their food is one of the best Arabic foods in Berlin, so be prepare to wait a little. 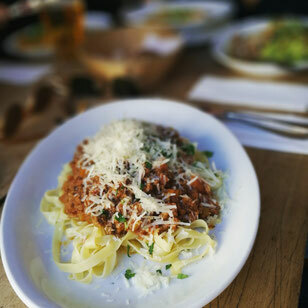 This restaurant offer some of the most delicious pasta of Berlin. If you are in the area, I highly recommend to eat the Truffle Tagliatelle. It is absolutely divine! And if you finished your lunch, you can go shopping here. At Neue/Alte Schönhauser Straße you find a variety of brands as well as second-hand shops like Made in Berlin (with Happy Hour on Tuesday from 12:00-15:00.